Untitled (Trick 또는 Treat). 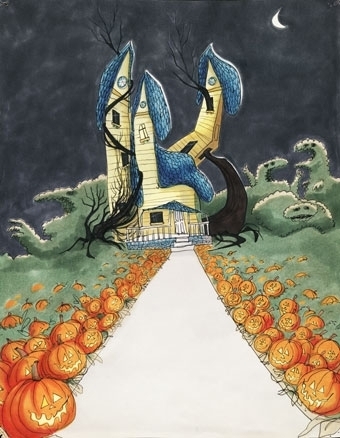 From Tim's MoMA exhibition.. Wallpaper and background images in the 팀 버튼 club tagged: trick or treat tim burton moma exhibition untitled series. This 팀 버튼 photo contains 애니메이션, 만화, and 만화책.